On a surface level, the link between young kids buying Supreme and old guys racing Whippets is probably – at very, very best – a highly tenuous one. 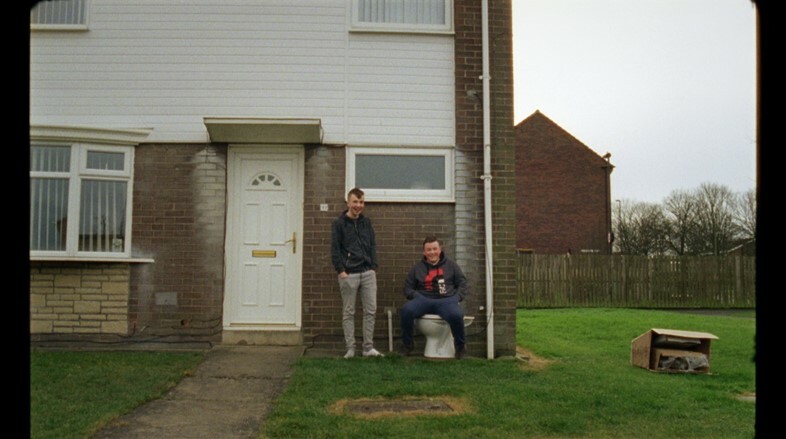 However, it’s a relationship that Dan Emmerson introduces nonetheless in Gannin Hyem, a short film about class and community in the North East of England. Emmerson’s film, produced by TCO and Somesuch, and commissioned by Spaces In-Between – a new, quarterly print publication from size? – places the rise of hypebeast culture and the dissipation of Newcastle’s Whippet racing clubs alongside each other, in what is a mediation on the polarisation of Geordie identity. As Whippet racing dies out and the adolescents watch on, apathetic and disinterested, Gannin Hyem questions modern society’s growing inability for intergenerational empathy. Thankfully for the London-based filmmaker, he soon found what he was after. After arranging to meet with figures from the community, Emmerson spent a weekend in Newcastle with the few Whippet racing clubs still hanging on. While the film shows that the old guard remains as passionate as ever about their niche and unique pastime, they bemoan an impotence to attract interest from the younger crowd they need to keep it alive. Sadly, eventual extinction seems only a matter of time. While, on paper, it’s tempting to snigger at declarations of a Nintendogs revival, Emmerson’s film never threatens to stray into judgement territory, choosing instead to operate as a snapshot commentary on the disparity of shared interest in the two different age brackets. Rather, Gannin Hyem (Geordie for: ‘going home’) is about an inability to connect; to come together. The spectral presence of Thatcherism haunts the films seven-minute running time (you can almost hear her whispering “there’s no such thing as society” as Emmerson cuts to archive footage of people dog-walking in front of decimated collieries), with Whippet racing’s slow decline mirroring of small, dismantled communities left behind by Conservative governments. “It’s still there, they’re still clinging onto Whippets, but it’s a very post-industrial vibe. You feel that now,” notes Emmerson, on the similarities. 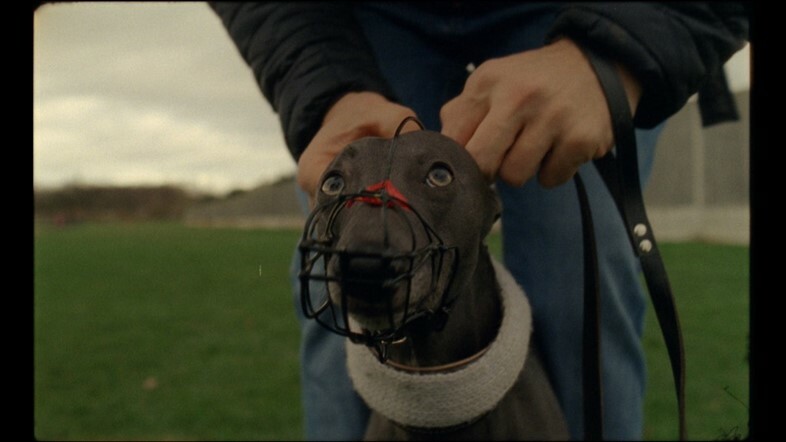 While the film ends on a semi-poignant note (courtesy of Josh, who, as a young person involved in Whippet racing, serves as Gannin Hyem’s sole contrast to vaping, adolescent indifference), it remains, ultimately, a short, sharp documentation of a subculture at its most localised. It’s about the beauty – and inevitable demise – and of the idiosyncratic. Why aye.